It goes without saying that, as time goes by, more and more advances are made in the many fields of technology. The music industry is no exception to this rule, as each year there are new types of songs and tracks invented to appeal to the widest possible variety of listener. Did you know that there are more than a million new musical tracks and songs released every year? That’s a whole lotta music! In this same manner, the advances in social media and connectivity technology make keeping track of your favorite artists and music easier than ever. For these reasons, it makes sense that any avid music listener might want to get the very best experience from their music, at any time, in any place. However, when an MP3 player and headphones combo just don’t cut it anymore, the next logical step would be taking your music anywhere, and listening to it on a cutting-edge portable Bluetooth speaker. 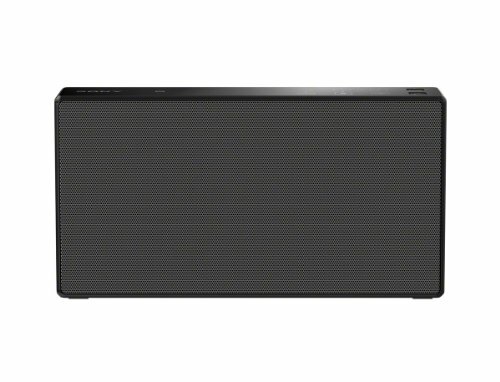 However, to the dismay of many users, there are tons of Bluetooth speakers on the market, many of which offer similar capabilities to one another. In a sea of identical products, which product would make the very best purchase for your money? While many music enthusiasts might appreciate crisp highs and crystal clear mids, the aspect that absolutely makes the deal for some might be the presence of booming lows. 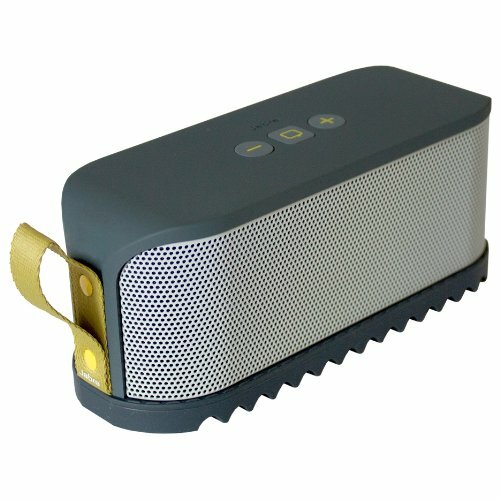 If you’re one of the users who enjoy their music with a little bit of extra oomph to the bass, then you might want to invest in a portable Bluetooth subwoofer speaker, as these products can deliver the aforementioned crisp highs and mids along with the booming lows that always get our blood pumping. Unfortunately, we’re still left with the dilemma of which product to acquire, given that there are also lots of Bluetooth subwoofer speakers for sale on the market. Luckily, the purpose of this article is to explain, in depth, the factors that you’ll want to consider when browsing the market for the best products in this category. In the following sections, you will learn all you’ll need to know in order to purchase the best product for your needs. 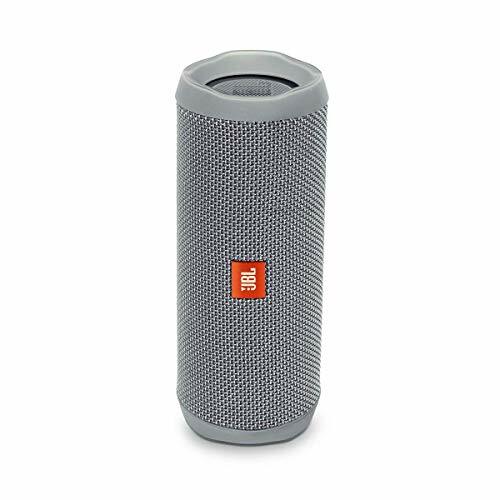 A great subwoofer from a long-lasting company, the JBL Flip 4 takes the prize as our #1 pick! JBL is one of the best of the best when it comes to speaker and audio equipment. Their products manage to combine portability, appealing designs, and a ton of features which makes them the go-to alternative for many casual music listeners. The Flip 4 is not an exception to this premise, as it takes the devices from an already prestigious line of products and improves them in almost every way. Right off the bat, we can tell that the JBL Flip 4 is one of the best choices in their price range; you’d be hard-pressed to find a product which offers equal quality and features for a great value. For starters, the cylindrical design with flashy colors allows it to fit nicely into any outdoors setting. The biggest improvement over the Flip 3 is durability, as the fourth iteration features plastic end caps which serve to improve the product’s ruggedness. As far as performance is concerned, the Flip 4 manages to overcome the limitations that are common in most small speakers. With devices of this size, we usually expect nothing more than tinny, shallow sound quality. The Flip managed to impress us by delivering thumping lows while keeping crystal clear highs and mids. The bass isn’t overbearing at all; its musical and doesn’t slip into the other frequencies, making the music sound even clearer. After listening to several musical genres on these speakers, we definitely couldn’t find anything wrong with its sound quality. However, if we had to nitpick something, we’d wish that this speaker could drive at higher volumes, as the default maximum volume is just enough for gatherings where the people are located in a small area. The speakers fail to deliver reliable audio to relatively long distances which, to be fair, isn’t expected from speakers in this category anyway. Dual drivers, a small form factor, and a great price tag make the SoundCore a must have if you want a dependable portable speaker. Another great device at an unexpectedly low price tag. At this rate, we’re going to have to think that these speakers are the product of witchcraft and wizardry since we literally cannot find better audio at this price range. The SoundCore is able to drive with superior sound quality than many speakers in higher price categories. Commercial pitches aside, the Anker SoundCore is able to deliver Hi-Fi stereo audio with its dual high-performance drivers, complemented with its patented spiral bass port. The result is a sound that leaves nothing to be desired, as the crystal clear highs and booming lows are able to convey the musical arrangements of each and every song or track with great fidelity. Furthermore, this portable Bluetooth speaker is the only one (that we know of) which guarantees up to 24 hours of audio playback; that’s a whole day of music or, at the very least, around 500 songs! This huge play time is due to the Anker’s patented power-leading technology, which is able to squeeze every last drop of energy from the speaker’s high-capacity Li-Ion battery. To further complement this speaker’s high-quality physical components, the device makes use of Bluetooth 4.0 to connect to any device. Like we mentioned above, the most recent Bluetooth protocol is excellent due to its EDR technology, which allows you to stream music via Bluetooth with great fidelity and near-lossless quality. Furthermore, the speaker’s powerful Bluetooth transmitter allows it to pair with any compatible device at up to 66 feet of range. The sound quality you expect from Bose in a smaller form factor that you can take with you. We love Bose and their customer service. You won't be disappointed. When it comes to audio devices, you really can’t get much better - as far as brand quality is concerned - than a Bose product. This company is best known for its Hi-Fi audio devices, which the Bose SoundLink Mini line of Bluetooth speakers is also able to deliver with flying colors. The SoundLink Mini II has outdone its predecessor and has single-handedly set the bar by which all other portable Bluetooth speakers are measured. For starters, the very first thing that comes to mind when examining the SoundLink Mini II is their compact audio drivers which, surprisingly enough, are able to produce sound on a very wide range of frequencies. The speaker itself manages to conserve the iconic look of its predecessors while innovating by adding a micro-perforated grille to the mix. The result is a product which, if physically similar to the previous iterations, is a bit lighter in terms of raw weight. The product weighs around 1.5 pounds, which is more than enough to counteract the vibration from its bass drivers which, by the way, can get quite booming when set to the max on the media player’s equalizer. Like with any product in this price range, the SoundLink is able to deliver rich lows and crisp highs, which is a staple of this line of products, anyway. While the Bose SoundLink Mini II is able to offer similar performance to its past versions, it adds to the mix by featuring several improvements to its general usability. A good example of said features is it’s USB charging capabilities, which allows the user to charge their phone, tablets, or other devices via USB cable. Furthermore, the SoundLink Mini II also includes speakerphone capabilities, which allows the user to both receive and make hands-free calls. 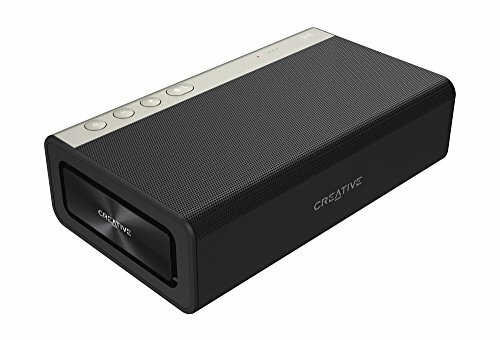 Additionally, the battery life was improved from previous iterations, as the speaker can provide up to 10 hours of continuous playback, as opposed to its predecessors, which could last only 7 hours, at best. Creative's latest Roar 2 produces great sound across the entire spectrum (highs, lows, and mids). If you like their brand, you get exactly what you expect. 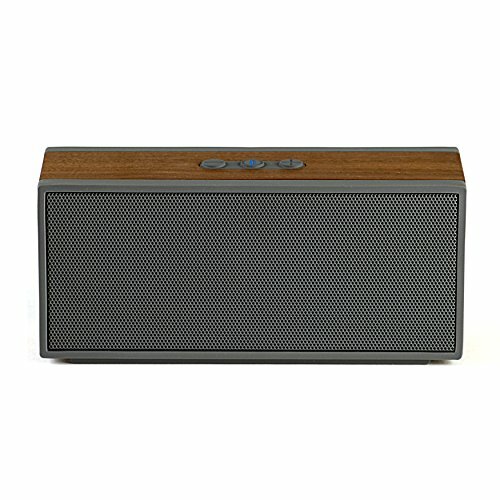 The Roar 2 is the latest iteration in Creative’s line of critically acclaimed Bluetooth speakers. It offers the same amount of features, in a slightly smaller package. 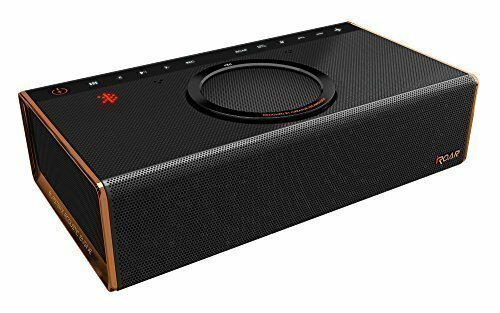 However, despite being smaller than the previous version, this speaker manages to be the bulkiest on the whole list, weighing just a bit over 2.2 pounds. In terms of size, it’s still portable to lug around anywhere you go, though it can get a bit taxing over time if you don’t have a pouch to assist in carrying it around everywhere you go. 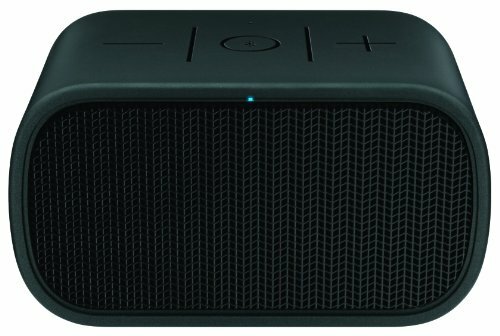 Compared to its previous version, the Roar 2 offers several extra features which, in this day and age, have grown to become standard in most Bluetooth speakers. For instance, this device is equipped with NFC pairing, for ease of use and pairing with smartphones or other types of media players. Furthermore, the Roar 2 has speakerphone capabilities, which allows the user to make and receive phone calls as long as the device is connected to a smartphone. Unfortunately, the tinny sound quality of the speakerphones leaves a lot to be desired, which is a bummer, since the other speakerphones we’ve mentioned so far had much lower price tags, and were able to perform so well as speakerphones. This is especially odd, considering that, using the Roar 2’s control panel, we are able to record high-quality audio onto any connected SD card, using the very same microphone which performs sub-optimally when making calls. In any case, this flaw doesn’t detract from the Roar 2 as a speaker in the slightest. In normal settings, the speaker performs just as you would expect: awesome and clear mids and highs, with decent lows. However, things get really crazy as soon as you push the ROAR button on the control panel which, when activated, increases the device’s maximum volume limit, and widens the soundstage. When pressed a second time, the speaker engages Terabass mode, which rounds out the overall sounds, while making way for a much boomier bass. Nevertheless, even without the ROAR button, this speaker is able to perform better than most others on this list, given that the tweeters and subwoofer are driven by separate amplifiers. UE makes our list with the lower price tag. It has above average quality given the price and if you can't afford some of the more expensive options above, it is a great option. 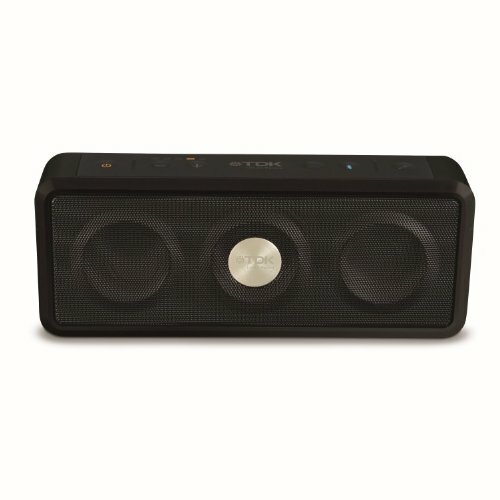 This UE Mini Boom by Logitech is one of those speakers that strives to perform like other high-end devices while trying to maintain the low price tag. 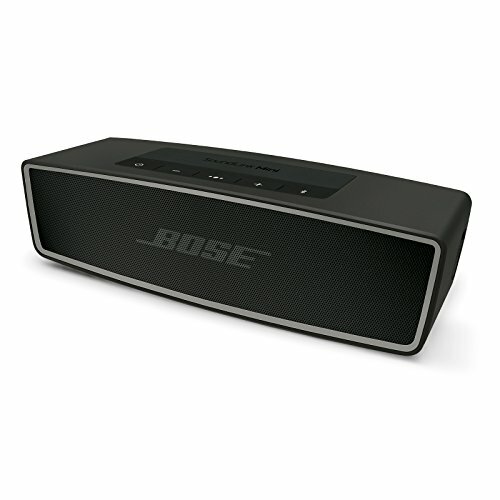 Case in point, the Mini Boom offers sound quality akin to that of the Bose SoundLink, while still managing to keep a low price. Its most notable flaw comes in the form of its dual 1.5-inch drivers which, while being able to perform admirably in most cases, have a noticeably narrow frequency response when compared to other speakers. As far as the highs and mids are concerned, you’ll receive the exact same quality found in the other devices on this list. When it comes to lows, the bass is definitely there, but it’s less resonant and booming that with other products. Nevertheless, what the Mini Boom sacrifices in terms of audio fidelity, it makes up for in sheer portability. This speaker is only 3.9 x 3.3 inches, which makes it small and light enough to be carried in a pocket, or in the hand with no effort at all. Thanks to its light, yet rugged plastic casing, this product weighs only 9.6 ounces, which only adds to its already awesome portability. Now that we are aware of the best brands to look for when browsing for portable Bluetooth speakers, let’s get a bit more specific and elaborate on the elements we need to look for in order to make the best purchases. If you’re not sure which speaker to buy, then it’s better to go ahead and examine each of their features closely. That way, even if they’re not manufactured by an well-known brand, you will still be able to acquire a high-quality product. The frequency response is a unit which is used to measure the range on which audio equipment, such as headphones and speakers can reproduce audio. This number is usually listed on the product’s box, or on the company’s website. It is measured in Hertz (Hz) and is expressed in ranges, rather than units. For example, a typical frequency response of a pair of headphones or speakers looks like this: 20Hz - 20,000Hz. While the exact ranges may fluctuate depending on the device, they usually refer to the same thing. The first number of the range is the lowest frequency on which the speaker can produce sound, while the highest is, you guessed, the highest frequency on which it can produce sound. In speakers and headphones with smaller drivers, the frequency response range will usually be narrower, since it’s hard to produce sound at extreme frequencies with smaller components to drive it. Stereo sound refers to the method in which music and sound are mixed so that you can hear different sounds coming from different directions. For instance, you can find a song that has the guitar mixed so that you can hear it from the left driver, while the harmonics come from the right driver. It’s a good element for adding more depth to your favorite tracks. However, this doesn’t always translate so well to portable speakers, since most of them may lack the qualities to reproduce audio in a stereo fashion. ​For starters, the key element of portable speakers is precisely that; portability. For audio to be properly reproduced in stereo, you need to have a minimum physical distance between the drivers; which isn’t possible when you have 2 drivers packed into a small box. Furthermore, most portable speakers come equipped with only 1 driver, which makes the feat of reproducing stereo audio even harder. However, there are several devices which can reproduce stereo audio with a single driver. Unfortunately, these speakers can go for a pretty penny on the market, as the technology used to achieve this is fairly new. Regardless, if you’re looking for the best of the best, be sure to pick up a speaker that has stereo capabilities on a single driver, but be wary of the smaller models that boast “true stereo audio”; more often than not, they’re lying to your face. A good thing to keep an eye for when browsing the market for a portable Bluetooth speaker is the Bluetooth version they use to produce their pairing capabilities. In the current state of technology, Bluetooth v1 is practically non-existent, while Bluetooth v2.1 is still very much alive. Furthermore, Bluetooth v4.0 also exists, and with it, came the EDR profile, which stands for Enhanced Data Rate, and is responsible for the improvements in sound quality we’ve seen in Bluetooth speakers over the past few years. Speakerphone: If you’re planning on using your Bluetooth speaker while lounging in a pool, or during cooking sessions, odds are you could benefit from purchasing one with a speakerphone function, which would allow you take calls and speak with others through a built-in microphone. And even if you don’t plan on using it in these situations, the possibility of being able to pick up the phone and speak to your friends and family with a hands-free method is always a welcome addition, especially if you’re a gamer and can’t get your hands off the mouse and keyboard. Multiple Connectivity: We mentioned above that true stereo audio is something that most Bluetooth speakers fail to deliver. However, some devices come with the ability to connect multiple speakers as part of the same setup, which allows you to configure both speakers to produce stereo audio. Even better, if you manage to connect 4 speakers and a subwoofer, you could even have your own 5.1 Bluetooth setup. Extended Battery Life: Listening to Hi-Fi can cause quite a strain on your device’s battery life, especially if you like to listen at high volume levels. If you’re looking to listen at home, then odds are you won’t need a long battery life, since you could just connect it to an outlet while using it. However, if you’re planning on taking the speaker to a weekend camping trip, then your best bet would be to invest in a device that advertises at least 4 to 5 hours of continuous battery life. USB Port: On the same note as the feature above, some speakers might also offer a USB port, so that our phone or other media player may leech off of the speaker’s battery. This is useful if you don’t want to bring a phone charger, or don’t have space on your outlet to charge your phone, as you could simply do it via the speaker’s USB port. NFC: We already talked about NFC above, and even though it’s not a make-or-break feature, the fact that you can easily pair your phone to the speaker with a single tap will help you to save time and effort in getting your music playing. Waterproofing: The name says it all: if you’re planning on taking your speaker to the beach or poolside, it’s better to purchase one with waterproofing, so that your purchases is protected against the elements. One of the most advertised features with wireless speakers is, by far, Near Field Communication capabilities. Abbreviated as NFC, this technology allows two devices to easily pair when in close proximity, which eases the process of playing your music on any speaker device. However, despite sounding really nice, NFC is actually very limited in what you can achieve with it since you need to keep your phone or music player very close to the speaker in order for them to pair. Furthermore, the only thing that NFC achieves is facilitating the Bluetooth pairing process, which means that any given Bluetooth speaker can achieve the same results, albeit with a slightly longer process to pair both devices together. Despite the benefits that Bluetooth offers, Wi-Fi audio streaming is currently the go-to method for pairing and sharing media across different devices connected to the same network. That’s not to say that Bluetooth is bad or sub-optimal, it’s just that the number of features offered by Wi-Fi speakers can far outweigh those presented by any other type of speaker. Nevertheless, the quality of the audio itself will still be largely determined by the physical components of the speaker itself. Regardless, if you’re looking to acquire the very best audio, coupled with the best features, get a speaker that can pair in both Bluetooth and Wi-Fi modes. In this manner, you will obtain a product you can use at home with a Wi-Fi network while being able to take full advantage of its audio qualities at the beach, pool, or any other place where there are no Wi-fi networks handy. The time-old method with which most wireless speakers have been pairing with the devices ever since their inception - and the one in which we will be focusing this time around - is Bluetooth. While technically inferior to Wi-Fi in terms of feature and audio streaming quality, Bluetooth speakers will often offer the most solid performance at the lowest possible prices. The only severe limitation of this streaming method is that it’s limited to a maximum distance of around 33-50 feet between the paired devices. Nevertheless, most modern devices, such as smartphones and wireless speakers, are fitted with a Bluetooth chip which allows them to be paired with other compatible equipment. Furthermore, Bluetooth pairing doesn’t require network access, so it functions in virtually every place on the planet. And, as if that wasn’t enough, Bluetooth is extremely easy to set up and takes only a few seconds to do so. This acronym is short for Digital Living Network Alliance, and consists of an open network for sharing all sorts of files, from music to pictures and videos, across multiple devices paired via Wi-Fi. If you have an Android smartphone, or any other device based on this OS than it’s likely that they will use DLNA to stream their media across different devices. Unfortunately, despite being present in a wide variety of devices, this method is infamous for being clunky and slow and often outclassed by Bluetooth or standard Wi-Fi connections. This is Apple’s proprietary method of pairing devices together and is actually one of the most intuitive platforms to stream media across different devices. It makes use of proprietary protocols to transfer files across paired devices via Wi-Fi, and while it actually is very easy to use, it’s also one of the least cost-effective features to include on any device, considering that Apple charges companies a lot to include it into their devices. This translates into increased costs for speakers and other devices that are Airplay-compatible. There are a very wide variety of Bluetooth speakers available for purchase on the market. So much that choosing an appropriate product for your needs can become a really challenging endeavor, especially if you’re a newcomer to this industry and don’t know exactly what to look for. If this is the case, then we’d recommend for you to stick with the most popular brands, as these companies will, more often than not, provide you the very best bang for your buck, while backing the quality of their products with awesome customer service. As a provider of some of the best electronics this world has ever seen, I believe Sony seldom requires an introduction. Formally known as Sony Corporation, this multinational organization has its headquarters in Tokyo, Japan, and is one of the most important designers, manufacturers and sellers of consumer electronics, such as audio and video devices, computer components, photography gear, smartphones, and video game consoles. This company is the designer and manufacturer of one the most common integrated sound chips present in the motherboards of most personal computers. This organization has been in business since before computer audio was widespread, and it is, in part, due to their efforts that we are able to listen to music or other audio files on our computers from the comfort of our home. As a manufacturer of electronics, Creative Sound Blaster mostly focuses on high-end dedicated soundboards as well as professional-grade recording equipment. However, they also design and manufacture several types of consumer electronics, among which we may find headphones, Bluetooth speakers, and soundbars, among others. Based in Massachusetts, United States, this company was founded in 1964 by Amar G. Bose, a former educator at the Massachusetts Institute of Technology. The company is focused on the design and manufacture of Hi-Fi components such as speakers and amplifiers, though they’re more famous for their integrated audio solution services such as high-end home theaters and multiroom home audio. Logitech is a company dedicated to electronics, focused mainly on PC peripherals such as gaming mice, gaming keyboards, and gaming headsets. They started off as an OEM of office mice and keyboards, and slowly carved their path as one of the best companies in the business. Ever since their inception in 1981, Logitech has always been at the forefront of technology, often providing cutting-edge peripherals to any interested parties. They’re mostly famous for their top-quality products, which also manage to be very accessible for those that are working with a tight budget. That being said, Logitech has very decent low-end products which can be used as solutions in the office or workplace. Meanwhile, their line of high-end PC peripherals and components are better suited for competitive gaming environments or in other situations that may benefit from the increased performance that these products provide. Founded in 2011 by Steven Yang, a former software engineer for Google, Anker was created to provide high-quality yet affordable replacement laptop batteries to any interested users. Since their inception, their catalog has expanded to include power banks, charging cables, and other related components. In stark contrast to other Chinese companies, Anker has opted to conduct business directly in the western market via online stores and Amazon as their main marketplaces. 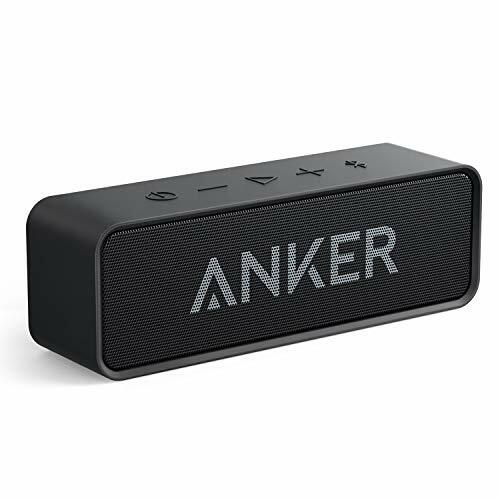 Despite focusing on power-related products, Anker has also dabbled in the field of portable audio, with their portable Bluetooth speakers, all of which are equipped with the company’s proprietary quick charge technology. In the past, most speaker and audio system setups would be big enough to clutter up most rooms. High-quality speakers came in huge sizes with similarly big drivers, all placed in big wooden boxes. While these devices could definitely produce ear-pleasing audio, they were a far cry from the portability we have today.